My people these are going to just LOVE them!!!!! 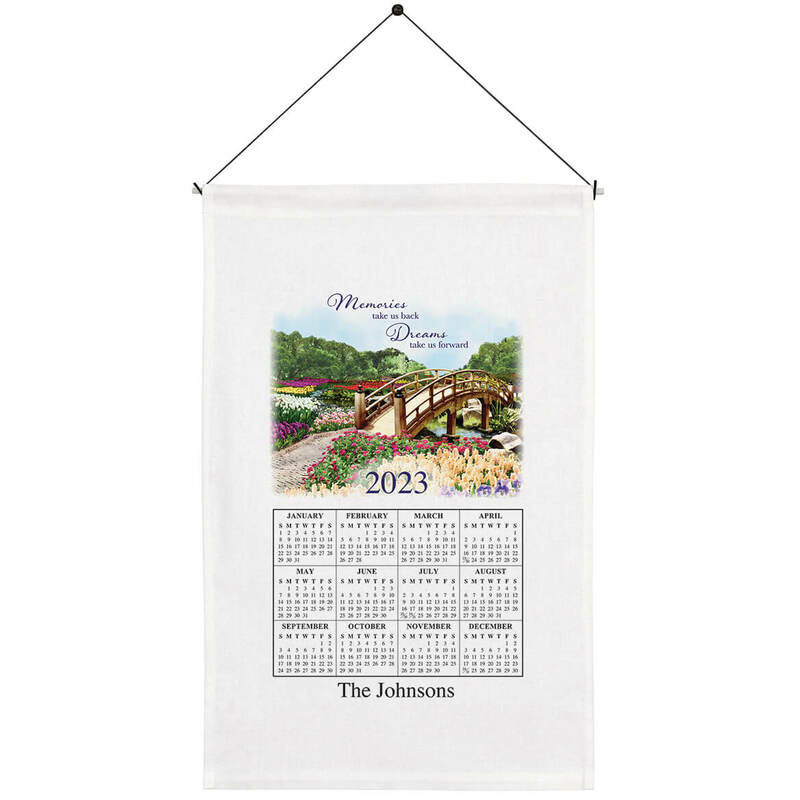 The picture was so beautiful I couldn't resist adding it to my collection of calendar towels that was started in 1972. Amazingly no two are alike and all the years to date are represented -- several over the years purchased from Miles Kimball. Love it when new scenic landscapes and such are added each year! It just looks nice hanging in the home. We are combining our two families and this sentiment is perfect.